Wow! 302 trailcam pics. 300 pics of a leaf blowing in the wind, 301 two does, 302 Wow! Are you kidding me. 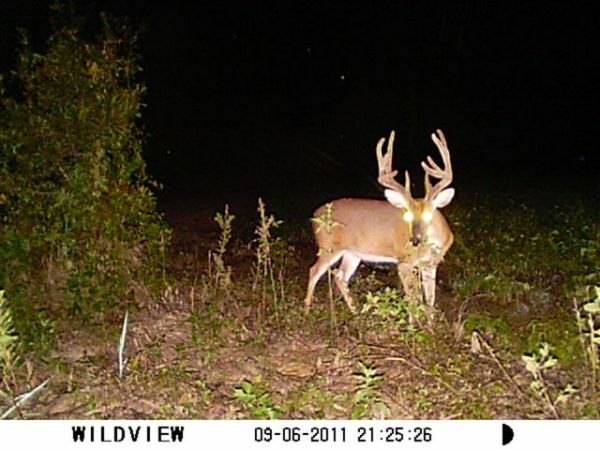 We believe this buck to have been a 140ish 3 yr old last year that we only had two pics of. His rack was tall and narrow and he seemed to pose like he new he was beautiful. We nicknamed him 'Handsome'. My son invited him to move in Nov 17, 2011. Great thanks to Ken and Jimmy for our 'Handsome' new house guest.